Not everyone chooses to put an RV into storage during the winter months. Many people turn into “snowbirds”, heading to warmer destinations in their RVs to wait out the winter. If you’re interested in winter travel, here are a few top destinations we recommend. at night to the 60s during the day. Mesa is also home to several golf courses, and contains nearly 2,300 acres of parks and green spaces. 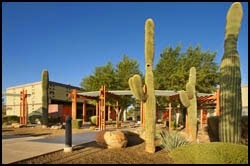 The Good Sam Club lists several RV parks in Mesa as being ideal for snowbirds, including Mesa Spirit RV Resort, Apache Wells RV Resort, Arizona Cowboy RV Park, and Eagle View RV Resort. Like Mesa, Arizona, Mission, Texas is also located in close proximity to the U.S./Mexican border. People often flock here to participate in bird watching, as the World Birding Center is also located here. Temperatures here are relatively mild during the winter months, with daytime temperatures often reaching in the 60s and 70s. Good Sam recommends staying at Bentsen Grove Resort or Bentsen Palm Village Resort. Fort Myers is located along the Gulf of Mexico in south-central Florida. This town is popular for its beaches, which are somewhat less crowded to visit during the winter months. There are also a number of parks and farmer’s markets to visit as well. Daytime highs average somewhere in the mid 70s, while nighttime lows are typically in the high 50s. According to the Good Sam Club, an excellent RV spot to spend the winter in is Woodsmoke Camping Resort. 40s at night to low 60s during the day. The town has plenty of scenic attractions, including a zoo, craft farm and several golf courses. Boating and fishing are popular year round activities here as well. 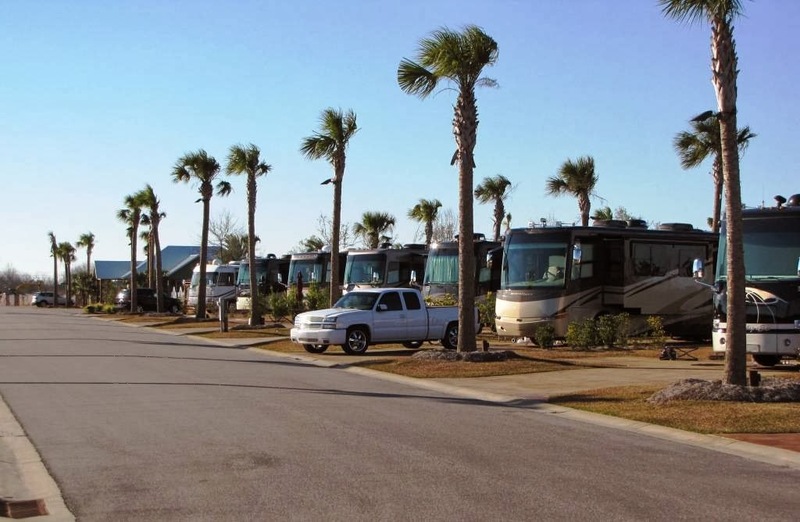 An excellent place to stay in Gulf Shores is Bella Terra RV Resort. No matter where your winter travels take you, we are sure to have all the gear you need to make your trip as pleasurable as possible. Check our website or contact us today to find a great selection of merchandise at affordable prices.